Last week St Francis Hospital's Center for Hyperbaric Medicine in Charleston, West Virginia, successfully treated a local hotel guest for severe carbon monoxide poisoning. Another was pronounced dead at the scene. An exhaust pipe from a gas-powered swimming pool heater was the source of the leak. Read the full account in the Charleston Daily Mail. We're checking these facts. We cannot be 100% sure, either, about the article's claim that St Francis operates the only 24/7 access hyperbaric chamber in the state. Our treatment center directory lists five other West Virginia centers, in Bridgeport, Fairmont, Huntington, Morgantown, and Wheeling. 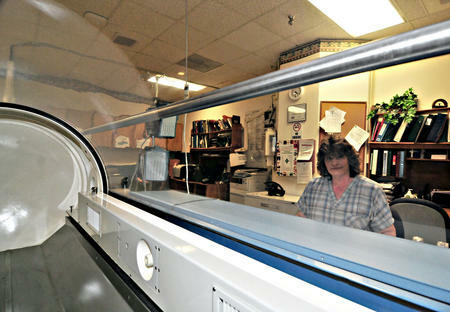 None has provided HyperbaricLink with full information about their equipment, facilities, and staff. We urge all hyperbaric oxygen therapy providers in West Virginia and across the nation to keep us up-to-date about their centers. It's as easy as 3-2-1.